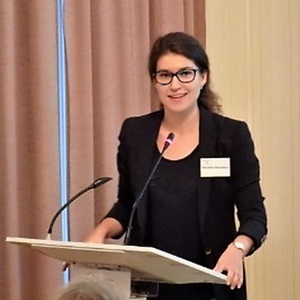 Alexandra Andhov (née Horváthová) is a Fulbright Research Scholar and an Assistant Professor of Corporate law at Center for Enterprise Liability, Faculty of Law, University of Copenhagen. Alexandra’s main areas of research are corporate law, capital market law, corporate social responsibility, anti-corruption and contract law. On these topics she has published articles in numerous European as well as US law journals and reviews. Currently, Alexandra leads the LegalTech Group at the Faculty of Law in Copenhagen with the aim of establishing an innovative and entrepreneurial LegalTech Lab. She has been a visiting researcher at Cornell Law School (2014) and Oxford Law School (2013). Before entering academia, Alexandra practiced law in Hungary and Slovakia. Alexandra’s current work focuses on the new developments in technology and its effect on corporate and capital market law. During her stay at Cornell, Alexandra aims to work on her manuscript on FinTech and possible change of securities regulatory landscape in the light of the technological advancements.